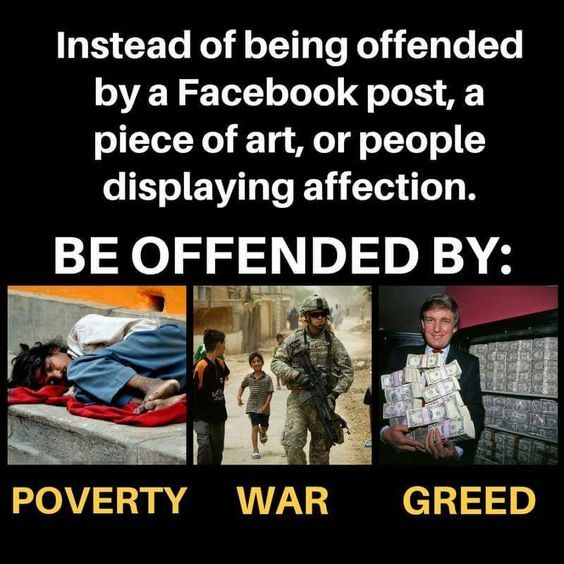 There are things that truly offend me. Poverty, war and greed are but three. Injustice is another one that makes the list, as does lying, corrupt leaders. Recognize the poster child for greed? He, and (everything he stands for) also offends me. This entry was posted in Hunger & Poverty, News & Views and tagged art, BLOTUS, corrupt, Facebok, greed, hunger, injustice, lying, morality, offensive, people, poster child, poverty, public affection, rich, violence, war, wealth on August 8, 2017 by Ray Buchanan.